U.S. women gave birth at the lowest rate during the first three months of the year than in any other quarter since the government started keeping records in 1909. The U.S. fertility rate – defined as the number of births per 1,000 women ages 15 to 44 – dropped to 59.8 in the first quarter, down from 60 births per 1,000 in the previous first quarter. That means slightly fewer than six U.S. women per 100 gave birth in the first three months of the year. Officials at the U.S. Centers for Disease Control and Prevention, which tracks the data, offered no explanation for the decline, but it continues a trend. The fertility rate for women ages 15 to 19 dropped more than 8 percent, to 20.8 births per 1,000. That rate is down more than 66 percent since 1991, when the teen fertility rate was 61.8 births per 1,000. The fertility rate also dropped for women ages 20 to 24. Their fertility rate in the first quarter was 72.5 births per 1,000, down about 3.5 percent from the year earlier. Women ages 25 to 29 – prime childbearing years -- also saw a decline in the rate of births, to 98.4 per 1,000. For women 30 years old and older, the trend is reversed. The fertility increased for women ages 30 to 34, 35 to 39, 40 to 44 and 45 and older. But because those groups give birth at lower rates than younger women, the overall fertility rate declined. The rate of premature births rose slightly from the first quarter of 2015, to 9.86 per 1,000 births in the first quarter this year. You can read the quarterly data at the CDC’s Vital Statistics Rapid Release page. By clicking on the Natality Dashboard, you can chart fertility rate trends by age and other factors. The Population Reference Bureau, which studies population trends around the world, has written multiple times about the decline in the U.S. fertility rate. Its most recent paper on the topic was published in December 2014. Providence offers many resources to women before, during and after birth. You can talk to us about working with a midwife, taking birthing classes, how to breastfeed successfully and many other subjects. In Oregon, you’ll find resources here. In Washington, you can connect with birthing centers in Centralia, Everett, Walla Walla, and at Swedish birthing centers in Seattle, Ballard, Issaquah and elsewhere. In Montana, you’ll find birth resources in Polson and Missoula. In Alaska, contact the Maternity Center in Anchorage. In Southern California, you can learn about maternity resources here. 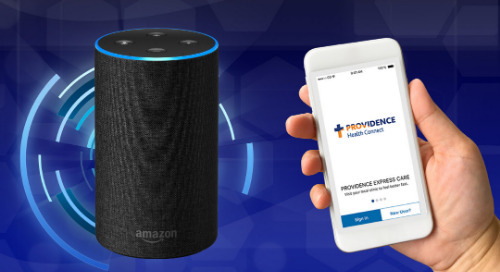 You can find a provider anywhere in the Providence system here.